Can a Price Be Put on Twitter? Posted June 6th, 2012 by David Porter & filed under Social. Just What is Twitter Really Worth? Facebook claimed to be ‘worth’ nearly $1000 billion according to what people were willing to invest. Events that quickly followed reduced that significantly. It raised two big questions: can other sites such as Twitter compete? Should they even want to? The vice chairman of advertising promoters, Ogilvy & Mather, Rory ‘media is now every bit a creative a field as creative’ Sutherland has said that Twitter has the basic ingredients to make even more money and last longer than Facebook. Not that they are making it yet, but they will, he thinks. He was speaking on the eve of Facebook’s huge public offering, when he reckoned that ‘as a forum for outburst’ Twitter was platform of choice, he reckoned that the character limit and ‘its haiku element were very appealing’. It also gave a new word to the English lexicon, ‘to tweet’. So What Is Twitter Worth? If you have a tweeting account you can ask Twitter what it is worth. If you don’t, you can see how much the Twitters of the rich and famous are worth. In 2009, Lady Gaga was over $150,000, Victoria Beckham, $83,000 and Piers Morgan stood at $70,000. These people one imagines are not short of a few quid. But ordinary people can maintain an account and pray it builds massive followers, or invest directly when the company goes public. CNBC’s senior stocks commentator, Herb Greenberg, examined the issue in February 2011. He thought Twitter was worth over $10 billion, although speculation that JP Morgan would take a stake that would value it around $4.5 billion. The point that Greenberg made was what would it ‘ultimately be worth based on future revenues?’ He believed that the ‘potential to scale revenue is so great’ that Twitter’s founders were in no rush to sell. $10 billion could come to feel like ‘giving the company away’. Greenberg thought they are ‘building a business rather than a stock’. And that sounds fine. Over the years Microsoft, Apple and Google have variously been in the rumour frame lined up to buy it. One day, they may get a chance. In the meantime, theoretical speculation is all there is. Paidcontent.org tried to reckon the value and/or worth (not the same thing) in 2009. They pointed out that YouTube went to Google for about $16 per user, MySpace to News Corp for $21 per user and Bebo to AOL for $35 each. 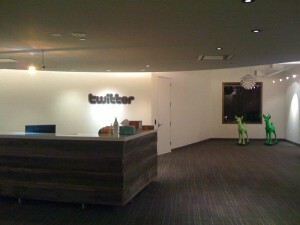 On that basis and at that time, with 19 million accounts, it would value Twitter at up to $650 million. But that was then, and the sale offering is not here yet. However, the unspoken question is who owns the Twitter content? Brian Ries wrote on The Daily Beast that a lawsuit valued ‘a Twitter follower at $2.50 per month’ and the content written at work belongs to the employer, not the tweeter. Ogilvy & Mather, Rory Sutherland. CNBC, Herb Greenberg, What’s Twitter Really Worth?, Feb 2011. The Daily Beast, 28 December 2011.